Flatland was a book written by Edwin A. Abbott in 1884 about the life of geometric beings in their two-dimensional environment. Below is an aerial view of flatland, where a circle bumps into a blue rectangle, deforming it. Jagged lines pierce the blue and white rectangles. Lines are particularly problematic in Flatland, since they are virtually invisible as seen by other figures. They are required to wag back and forth to announce their presence and avoid the mishaps pictured below. 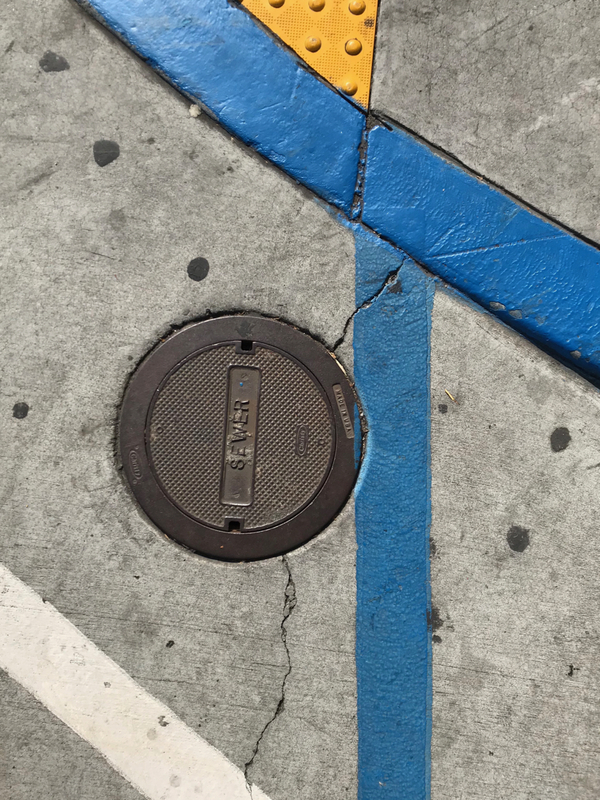 This entry was posted in Personal Stories and tagged 2-D shapes, 2-dimensional, art, Flatland, geometric figures, geometrical, jagged lines, photography, street photography, visual art. Bookmark the permalink.